For many, the release of Tomboy by Panda Bear (an alternative moniker for Noah Lennox of Animal Collective) has been awaited with open arms. For a man with so much ability in mixing melody and psychedelia, many wondered if Panda Bear would earn another Album of the Year nod. Luckily, Tomboy fits the bill quite well. The majority of the album is calming and trance-enducing. 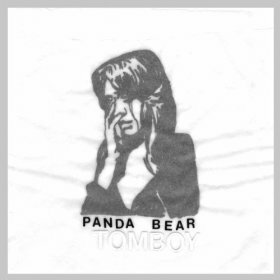 Title track “Tomboy” is easy going and warm. The track almost sound like an electronic account of big band music. “Slow Motion” feels a bit like an old A-track hop packed with energy and vibrancy. One of the stronger tracks on the album is “Afterburner,” a track that feels one part Radiohead and another part Samba. “Surfer’s Hymn” is just what you would expect with a title like that: waves of water clips, vibraphone melodies, and sweet 1950’s meets the Shins lyrics. Nothing about this album is heavy at all. The album is light and characteristic of the frontman. This album won’t let you down if you were looking for another winner from Animal Collective or their lead singer. However, if you’ve never heard of Panda Bear, let this be the album that changes all of that.